﻿ Chicharito: "Cristiano Ronaldo is the best player in the World!" 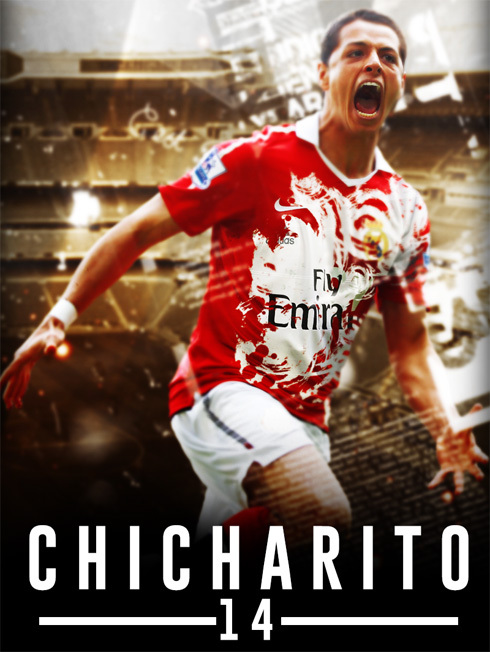 12.09.2014 » Chicharito: "Cristiano Ronaldo is the best player in the World!" In an interview granted to a TV show in Spain called "El Chiringuito de Jugones", Real Madrid's new forward Javier Hernández (also known as Chicharito) has spoken about this new adventure he's about to step into and how he will make sure to cherish every moment from this opportunity he was given. When asked to comment on who he thinks is the best player in the world these days, the former Manchester United striker had no hesitation in assuring that such honor still belongs to Cristiano Ronaldo. All the football action in Europe is about to return this weekend, but the spotlight will be mainly turned to a thrilling Arsenal vs Manchester City this Saturday morning at the Emirates and obviously also to the Spanish capital derby later that day, in an always competitive Real Madrid vs Atletico Madrid clash. 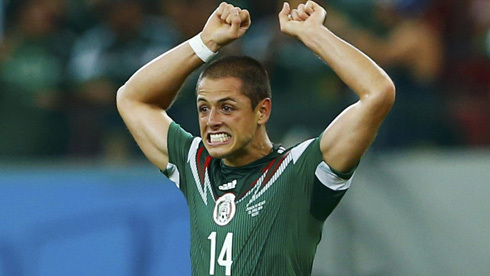 Chicharito: "No one in this game trains to become a substitute. I'm well aware that only 11 players will start each game, but there will be others waiting for their chance. I won't settle with a substitute role, that's for sure. I'm ready to give my all for this jersey! ", stated the Mexican forward. 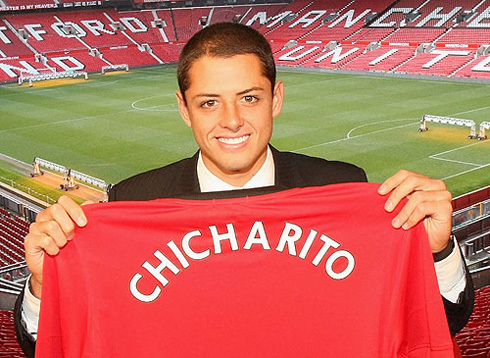 Chicharito: "I had other offers on the table, but it's a dream come true to have had the chance to sign for this club. I'm going to play with the best players in the world and all I can say is I'm going to try to make the most out of this opportunity. There's no excuse for not giving 100% for this shirt and I just hope to be fortunate enough to also be part of this club's great history", commented Javier Hernández Balcazár. When the time came to rate his direct rival for a starting spot in the team, Chicharito had nothing but great praises for Karim Benzema. 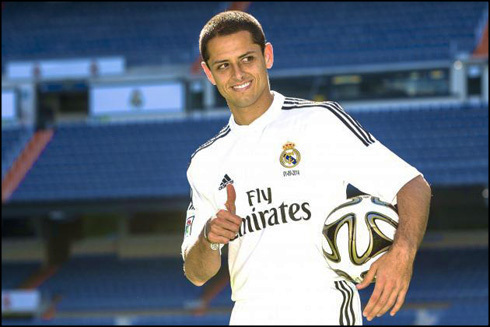 The Mexican also made clear that he'll be playing next to the best player in the world right now: Cristiano Ronaldo. 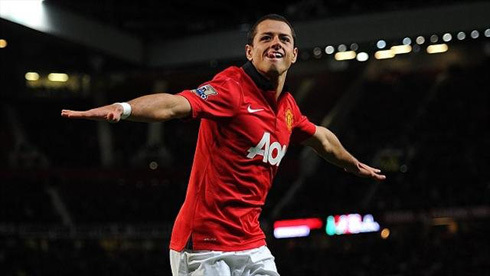 Chicharito: "I know we'll be fighting for the same spot, but I'm really happy to be in this position. In Manchester United I've had similar situations with Berbatov, Robin Van Persie and Wayne Rooney, but the truth is I don't like going through these kind of comparisons. Benzema scores tons of goals and also assists a lot. He's a very complete footballer! ", convincingly affirmed the 26-year old. 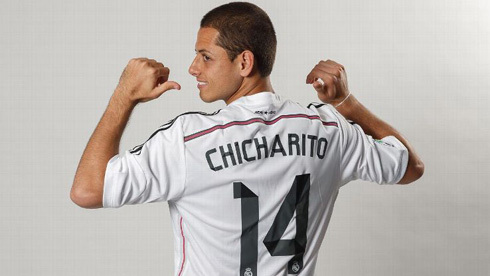 Chicharito: "Who's the best player in the World? Cristiano Ronaldo, without a doubt! I didn't have much time in practices with him yet, but I could already see why he is rated so high...", remarked the former Man Utd forward. Cristiano Ronaldo next game for Real Madrid will be against Atletico Madrid, for the 3rd fixture in La Liga, on September 13. You can watch Juventus live stream, Real Madrid vs Atletico Madrid, Barça vs Athletic Bilbao, Arsenal vs Man City, Chelsea vs Swansea, and Bayern Munchen vs VfB Stuttgart, all matches provided from our soccer live pages.